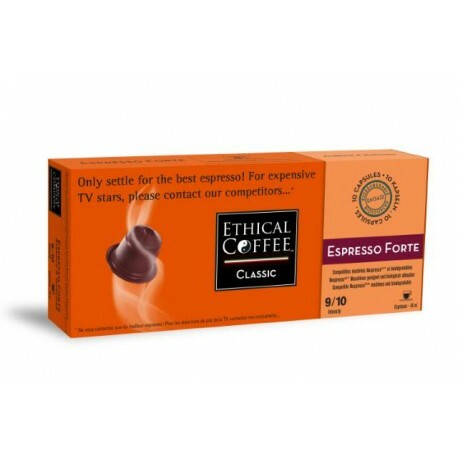 Espresso strong by Ethical coffee, Nespresso® compatible capsules. 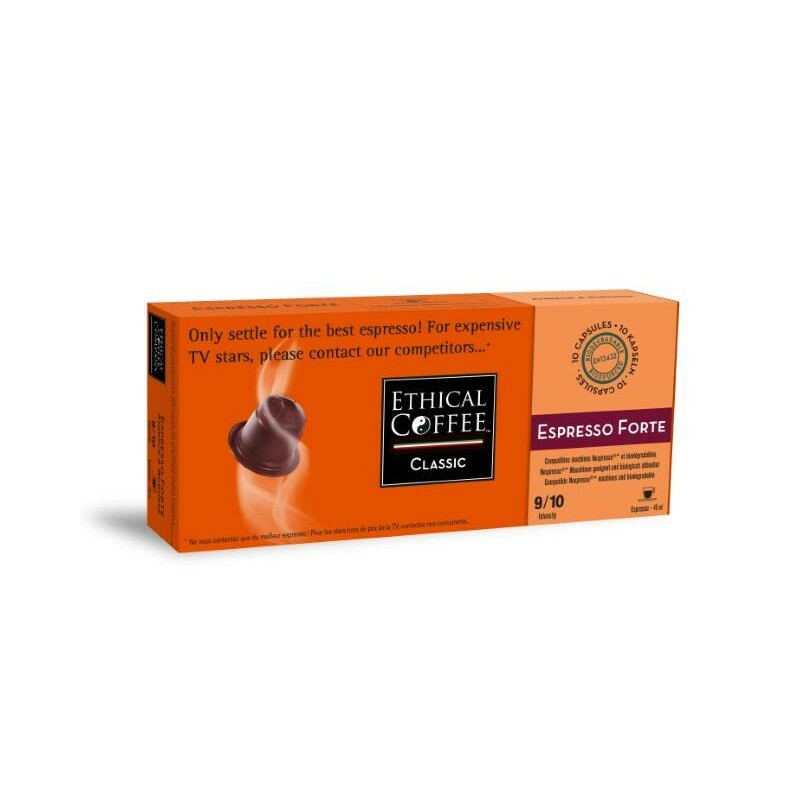 Espresso Strong Nespresso ® compatible biodegradable capsules from the brand Ethical Coffee. This espresso has a very strong personality. 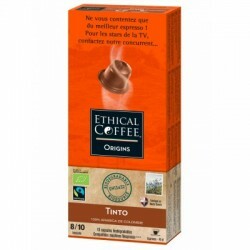 Its blend of Arabica, robusta gives an intensely powerful result. To savor tight. 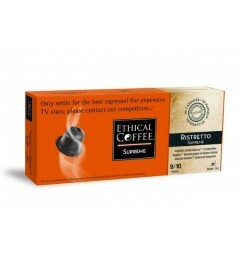 Espresso Strong Nespresso ® compatible biodegradable Ethical Coffee capsules. This espresso of Italian roasting has a very strong personality. 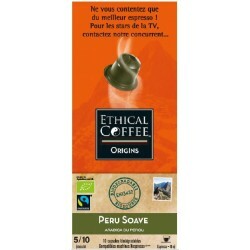 Its blend of Arabica 70% (Central America, Brazil, Ethiopia) and 30% robusta beans (Africa) gives an intensely powerful result. 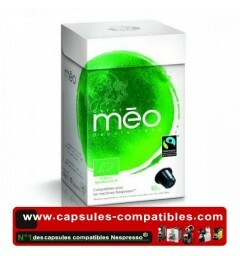 Without aluminum, this capsule is fully biodegradable and compatible with most Nespresso machines *. 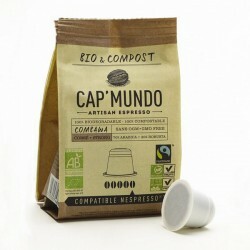 The Ethical Coffee capsule degrades in 6 months after use. It is made from plant fibers and starch. Once used you can put it in your organic waste.